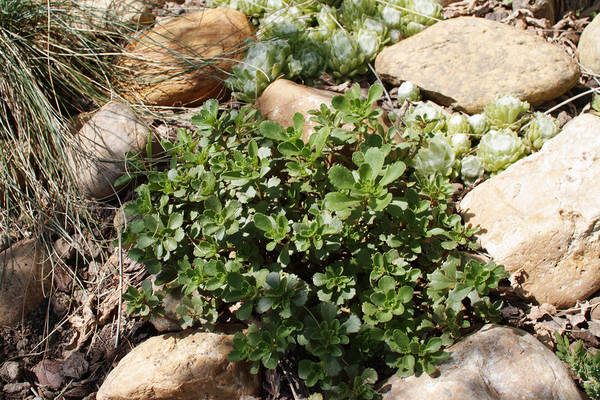 Maintain your home with low-maintenance plants that withstand all kinds of weather. How can you maintain your house so that it looks its best and feels like a home, not a chore? Strategies vary from season to season. You know that you don’t want to feel like your house is onerous, but you also need to keep on top of the work. Our home maintenance checklist will help you manage your home’s needs one step and one season at a time. Your home might be your castle, but the garden is in the castle grounds, and it’s what all of your guests need to walk through to get to your home. The first view you get of your home is of your garden. How can you keep it looking gorgeous all year round? Review your garden planning annually and make sure that you have lots of perennials that grow well in your climate and that have blossoms or striking leaves that grow and change throughout the seasons of the year. Are your driveways and pathways cracked and tilted? Fill in the cracks every season so that the water doesn’t move in and cause those cracks to widen. If you’re adding new paths, look closely at the substrate to make sure that the path won’t easily tilt or be damaged in some way. Take a look at your deck or patio railings and the deck and patio itself every season. Check for softer, rotting wood and ensure that you replace all of those pieces, particularly before patio season begins. In the spring, refresh planters on the patio and consider giving it another coat of stain. Since decks are exposed to the elements, they usually need to be painted every other year. Your roof is a first line of defense for your home, but since it is out of sight, you need to remember to check it regularly. Inspect your roof at least annually, but try to do it after major storms as well. Even a small hole in the underlayment behind your shingles could lead to leaks that will damage your home. When spring arrives, keep an eye out for pests that have moved in underneath your roof to have babies. These could be the neighborhood squirrels or even wasps. While you’re watching your roof, at the same time, you need to inspect your home’s exterior. This could include examining paint, brickwork, and rockwork around your home. Look at your siding for cracks, and be particularly sensitive to the possibility that there could be problem areas around your foundation or underneath accumulations of moss or mold. Consider power-washing your siding every season to keep it looking clean and new. As you look at your roofing, you also need to consider that your home is a system. Your gutters, gutter covers, and downspouts are all part of this system. While they might not seem to be a high maintenance item, cleaning your gutters is essential to the wellbeing of your home. If your gutters are not clean, water can pour over the sides onto your lawn, gradually loosening the soil and damaging your home’s foundation. What do you need to do to ensure that your home water systems are well-maintained? Inspect your gutters and gutter covers annually and after major storm events that drop debris onto the roof. In the spring, look for pollen, blossoms, and debris from winter storms. Clean out your gutters or add gutter covers. Take a close look at your gutters and inspect them for warping and leaks. In the summer, make sure your gutters are clean and that there are no rodent or wasp nests in them. In the fall, prepare for the winter by ensuring that you regularly clean out fall leaves, helping water flow easily into your downspouts. In the winter, watch for severe storms that could drop debris onto the roof and your gutters. Consider adding a gutter heating system if your gutters get clogged with ice dams. There are many smaller maintenance tasks that you can do indoors to keep your home looking good and running smoothly. Look for signs of damp and mold on the inside of your home. If you live in a rainy or snowy climate, do this after it’s been raining for a while. Catching these problems before they become serious can save you a large repair bill. Take a look at your interior paint on a rotating schedule. Interior walls should be painted every 5 to 10 years, but areas such as major hallways and bathrooms could do with a coat of paint more frequently because they get a lot of use. Fix broken items in the home. Check your chairs, fix or replace cracked windows, and look for loose floorboards. A monthly check can help you address problems before they magnify. Repair holes and cracks in the walls every year. These can build up over time, and if you ever choose to sell your home you’ll have a lot of work to do. Stay on top of this, and you’ll have a tidier home. While you’re at it, check your carbon monoxide and smoke detectors seasonally when it is daylight savings time. This helps you remember to check the battery on these potentially-lifesaving devices. Inspect your fire extinguisers too. These signs tell you that something could be wrong with your home foundation, and you need to address these issues right away, potentially with a professional. The end of the summer is a good time to check your exterior lighting. Keep your electrical appliances running smoothly: your calm home life depends on it! Get a check for incorrect wiring when you first move in or as a baseline for the future. That way, you’ll know what you need to fix. Check your electrical cords every month to make sure that they’re not frayed. When you’re looking at your lighting, make sure that you test your exterior security lights and regular patio lights as well. 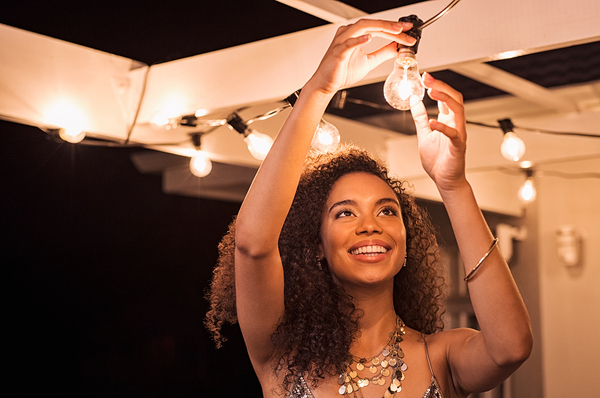 Do this near the end of the summer, when your lights will be on more frequently in the fall. How can you make sure that your home maintains an excellent temperature, no matter what the weather is outdoors? Check and clean your furnace filter monthly, to remove dust buildup and keep it running more efficiently. Vacuum your heat registers and vents. Do this with your regularly weekly or monthly cleanup. Each month, make sure that your heating and air vents are not blocked so that you’ll have easy air flow around the home. Seal cracks in your windows and in the caulking around them every season so that the drafts don’t sneak in. Get your furnace and your air conditioner serviced once a year. Checking the hot water tank if you have one. Do this every season to make sure it’s not leaking. Every month, clean out your drains and look for potential blockages. Check your interior and exterior plumbing for leaks before and after the winter season. This will prevent damage that could be caused by a seemingly small, but cumulatively serious, leak. At Harry Helmet, we’re happy to help you create the home that you’ve dreamed of: one that requires less maintenance and involves more enjoyment. With our roofing, seamless gutters, and gutter guards, we’ll help you create a comfortable, low maintenance home. Schedule a free estimate today.